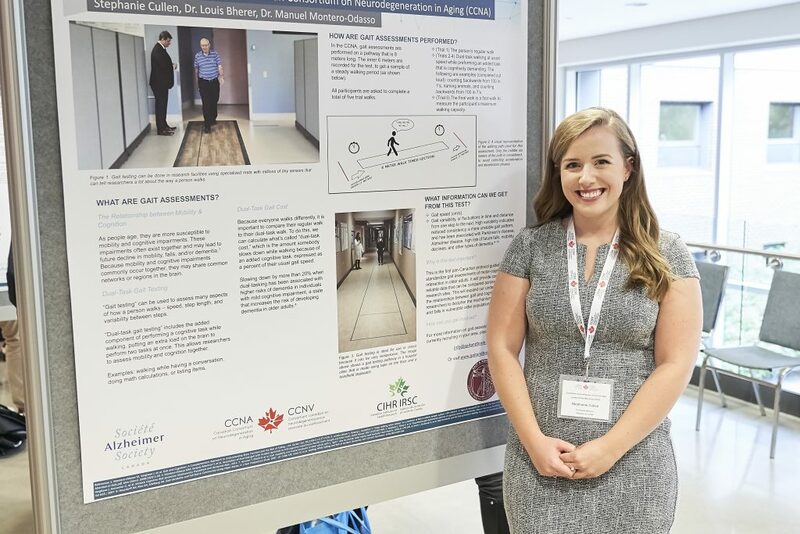 Gait and Brain Lab Trainees Josh Titus and Stephanie Cullen presented their research at the first CCNA public forum on Dementia Risk Reduction in Montreal, QC. Dr. Montero-Odasso was also a featured panelist on Exercise and Mobility. 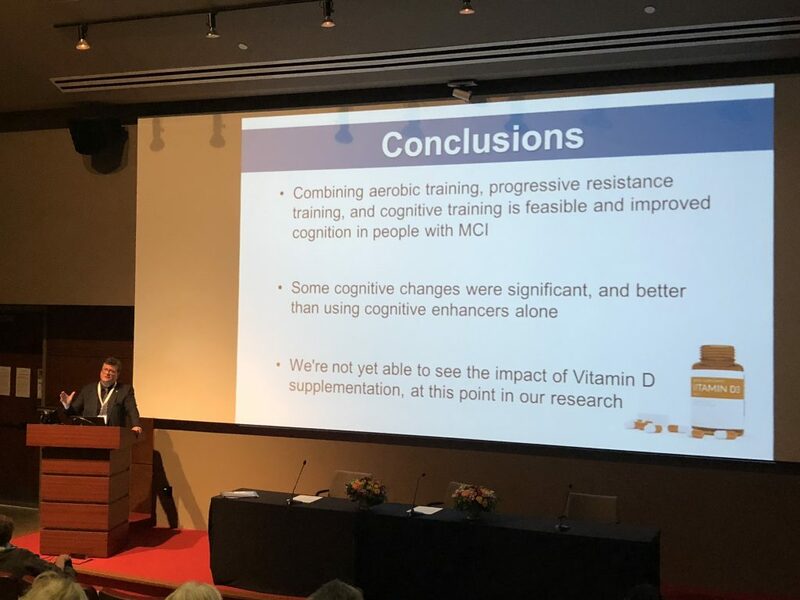 Dr, Montero-Odasso presenting on exercise, cognitive training and Vitamin D.
Stephanie Cullen (Master’s student) presenting on gait assessments in CCNA studies. 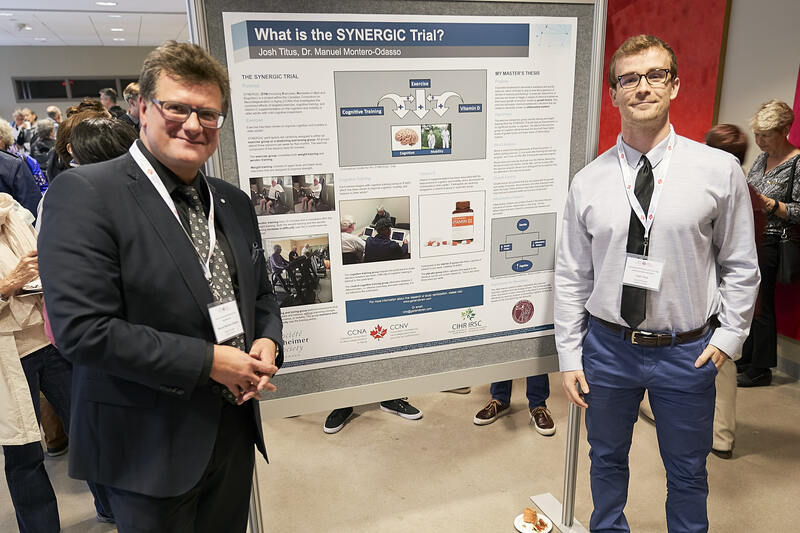 Dr. Montero-Odasso with Josh Titus (Master’s student) and his poster on the SYNERGIC Trial.